This is how they formulate in their mind all of the ways they heard about your brand – advertising, PR, word of mouth, online marketing, referrals, speaking, etc. This is when they buy with you and pay attention to the service they get, the product, the delivery, the price they pay and so on. If the perceptual experience is greater than the actual experience, you’ve got a problem. If a person’s actual experience does not live up to their expectation, they will reject your brand and your business opportunity. If, on the other hand, their actual experience exceeds their expectation, they will continue to be strongly loyal. The strategy here is to know what it is about the actual experience that will make your customers happy. The immediate assumption is that it’s great service, but it could be the price, the products, the service offer, environment or something else. To make your brand connect emotionally with your customer, it is crucial to know the answer to what makes them respond to your offer. Every business and every brand is different and it is, unfortunately, not as simple as just copying someone else’s success. The second rule for creating a brand promise requires a shared mission, shaped and delivered by everyone in your organization. What happens with most organizations is that they start off with a simple idea, but over time, things tend to get added on to the original offer. Either the owner or the staff decides to add something without permission. The owner or manager may give in during a weak moment because they know the business needs to do something to increase volume. And while these small things don’t really seem to matter at that time, they do have a weakening effect on your brand essence. Once your brand is implemented, be true to it – in everything you do. Make sure employees know what they’re supposed to do. Once your team understands your brand, make sure they also understand what they must do to live up to the brand promise. Your brand promise must include a systematic delivery through consistent and credible experience with each customer interaction. Creating an effective brand image requires a reinvention from the old model to one of a shared mission, shaped and delivered consistently. Your brand must be a way of life. It must be owned, understood and the hero to everyone in the organization at every level. The process starts with a vision behind your brand; make sure it is made real and tangible at every point of contact. Customers will then feel they are an integral part of the brand vision. 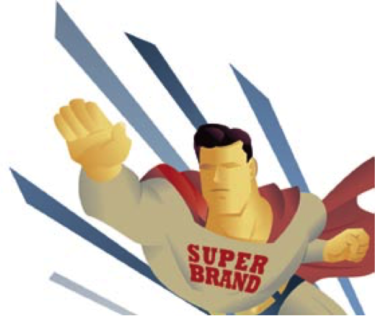 Your brand vision should be distilled into a brand driver, a benefit-rich collection of words. Most brand messages or USP (unique selling proposition) statements are from three to ten words on average. To achieve branding from the inside-out, you must invest in ongoing education. This is crucial to help your business and your marketing message stay on track. You must clearly understand how to best communicate your brand/marketing message to your target market on a regular basis. Analyze what value you provide to your target audience. Improve your influencing skills to improve relationships. Become an effective and confident communicator. Maximize social media to position your brand success.